All of the girls at New Leaf Academy share common therapeutic challenges that they must address in order to succeed through adolescence and into young adulthood. Almost all of our students have been involved in individual and family therapy and were not able to demonstrate consistent progress through these interventions. Why does New Leaf succeed therapeutically when other interventions have failed? • A Developmentally Appropriate Approach: New Leaf provides an environment that is free from the distractions and challenges an emotionally immature girl is not capable of navigating. Your daughter has the opportunity to be a "little girl" while she is working on the social, cognitive and emotional developmental milestones she has been unable to reach. • Tailored to her Unique Challenges: Girls progress through the stages of change and growth via Five Therapeutic Focus Areas, a competency based model that is student and family driven. Her treatment plan targets specific behavioral, social and emotional issues directly relevant to her struggles. • Growth Through Relationships: At this stage girls grow through interaction and relationships. Immediate feedback and social experiences help girls learn how they function with others. Our emphasis on skill building helps her learn to connect with others in a healthy manner. Improved connections lead to improved relationships and the success of meaningful interactions. Group counseling sessions three times each week, supportive peer culture and consistent, nurturing staff-student interaction provides abundant opportunity for girls to practice their emerging skills. • Strength-Focused and Concentrated: Your daughter is immersed in a culture designed to help her identify and develop her strengths and abilities, moving toward mastery of developmental milestones and emotional growth. The impact of our culture is difficult to replicate through outpatient interventions, which is why growth and change can happen at a faster pace. • Guided by Licensed, Masters Level Therapists: A program therapist is selected for each girl and her family. The therapist partners with each student and family members to develop a comprehensive treatment plan tailored to her needs. Your therapist meets weekly with students individually, on family calls and in groups to facilitate her growth and progress. Therapeutic interventions are selected to meet individualized treatment plan goals. Some interventions may include cognitive behavioral therapy, art therapy, dialectical behavior therapy and Eye Movement Desensitization and Reprocessing (EMDR). Provide medication management with board certified psychiatrists that specialize in working with children and adolescents. Educate the child about mood patterns and their impact on the student and others. Teach self-monitoring and interruption tools and direct the child to practice tools consistently. Provide support to the family in understanding and helping their daughter manage her moods. Examine family patterns that negatively impact mood management. Provide a consistent, structured environment at school and at home. Reinforce student's strengths and resiliency factors to help build confidence in her ability to work with her anxiety. • Provide a predictable schedule that builds in transition time to reduce transition difficulties. • Give consistent directions without rephrasing - allow student to paraphrase to check her understanding of direction. • Shorten assignments or allow more time to complete work to avoid the student getting "stuck" in her thinking process. • Teach social skills at school and at home. • Give the child nurturing and constructive feedback about her interactions. • Provide visual cues to help with verbal instruction when needed. • Provide medication management with board certified psychiatrists that specialize in working with children and adolescents. • Break tasks down into smaller steps at home and at school to reduce stress. • Teach student to recognize physical anxiety cues. • Help student identify and practice skills that reduce anxiety such as deep breath­ing, counting, relaxation techniques, and taking a time out to self-regulate. • Support student with positive self-talk. • Reinforce student's strengths and resiliency factors to help build confidence in her ability to work with her anxiety. • Provide support to the family in understanding and helping their daughter manage her anxiety to prepare for transition home. • Reduce anxiety through a structured and consistent environment. • Help child understand the impact of her behavior on relationships. • Provide clear expectations at home and at school. • Teach social norms and social expectations. • Use group process time to help child understand the impact of non-compliance on her life. • Consistently apply positive and negative consequences. • Maintain structured and predictable environment. 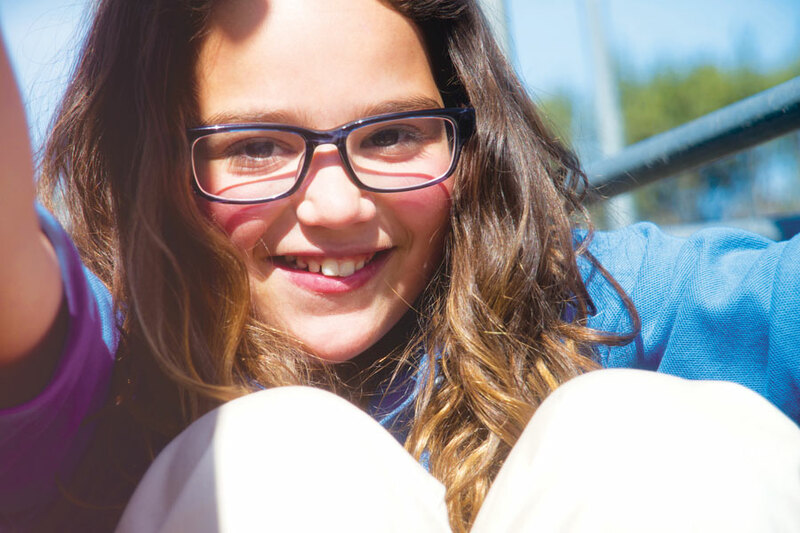 Shore up student's strengths and resiliency factors to help build confidence in her ability to reduce depressive symptoms. Support student with identifying and reducing negative self-talk while increasing the use of positive self-talk. Support student with engaging in healthy habits like regular exercise, healthy sleep hygiene and a balanced diet. Break tasks down into smaller steps at home and at school to reduce stress and increase successful completion of daily life skills to support increasing self-confidence. Help student identify and practice skills to increase her sense of well-being such as deep breathing, relaxation techniques, guided imagery and creative outlets such as art and music. Provide support to the family in understanding and helping their daughter manage her depression to prepare for the transition home. • Teach re-focusing skills and organizational skills. • Break tasks down into smaller pieces. • Teach self-management skills and help child practice the skills consistently. • Use group process time to role model social skills and interaction. • Use kinesthetic learning strategies as well as other teaching modalities. • Teach friendship skills and provide nurturing, constructive feedback about social interactions. Educate the child about mood patterns, what causes them and the impact of mood swings on the student and others. Teach interruption tools and direct the child to practice tools consistently. Help student identify and practice skills to increase her sense of well-being such as deep breathing, relaxation techniques, guided imagery and creative outlets such as art or music. Support student with engaging in healthy lifestyle habits like regular exercise, healthy sleep hygiene and balanced diet. Provide consistent, structured environment at school and at home. Reinforce student's strengths and resiliency factors to help build confidence in her ability to work through her mood patterns. • Use their strength in verbal intelligence to help her understand and strengthen their weaker areas of reading social cues. • Teach self-advocacy skills so the child can ask for and receive help and guidance. • Educate about Non-Verbal Learning Disorder. • Teach social skills and conflict resolution and provide opportunities for practice in a nurturing setting. • Give consistent directions without rephrasing -allow student to paraphrase to check her understanding of direction. • Model appropriate social interaction and reading of social cues and role play diffi­cult social situations. • Provide structure and consistency to help with transitions and reduce anxiety. • Although attachment issues are less severe than Attachment Disorder, both condi­tions typically require treatment. Therapeutic boarding schools like New Leaf Academy are well-equipped to treat a broad range of attachment issues, while children with more severe attachment disorders may require a more inten­sive treatment environment. • Children who have Reactive Attachment Disorder often exhibit extreme behaviors such as harming themselves (e.g., banging head against a wall), hoarding food, stealing and raging tantrums which can last for hours. If your child is exhibiting these types of behaviors, you should consult with a mental health professional to determine what type of help your child may need such as a program that special­izes in treating Reactive Attachment Disorder. • Children who have attachment issues that may not be as severe as Reactive At­tachment Disorder typically exhibit less severe behaviors and may have more op­tions in terms of effective treatment. New Leaf Academy works with a range of at­tachment issues and can effectively meet most children's needs. • In a structured setting with a predictable routine, the staff at New Leaf Academy set clear, consistent rules and consequences that help children feel safe and secure. Because children with attachment disorders often act less socially and emotionally mature than other kids their age, New Leaf Academy focuses on the specific developmental needs of each child, using nonverbal interventions such as equine therapy and art therapy to communicate when necessary. • At New Leaf, girls with attachment issues learn how to identify their emotions, ask for what they need and express themselves in positive ways. With plenty of affec­tion, patience and guidance, girls with attachment issues can begin to establish close bonds with their families. • Parents who are longing to connect with a child with attachment issues may begin to feel hopeless and defeated, but with treatment geared toward the child's indi­vidual needs, children with attachment issues can develop healthy, fulfilling rela­tionships. The earlier an attachment disorder is recognized, the easier it is to re­solve, so talk with a mental health professional to find out what type of treatment would most effectively address the issues your child is facing. Help student identify and practice skills to increase her sense of well-being such as deep breathing, relaxation techniques and guided imagery. Provide opportunities for animal engagement, with rabbits in the 4-H program, pets on site and equine activities. Provide creative outlets such as art and music to support self-regulation and increase self-confidence. Educate the student and the family about PTSD and techniques to prepare for and manage possible times of activation. Support student's strengths and resiliency factors to help build confidence in her ability to manage symptoms.